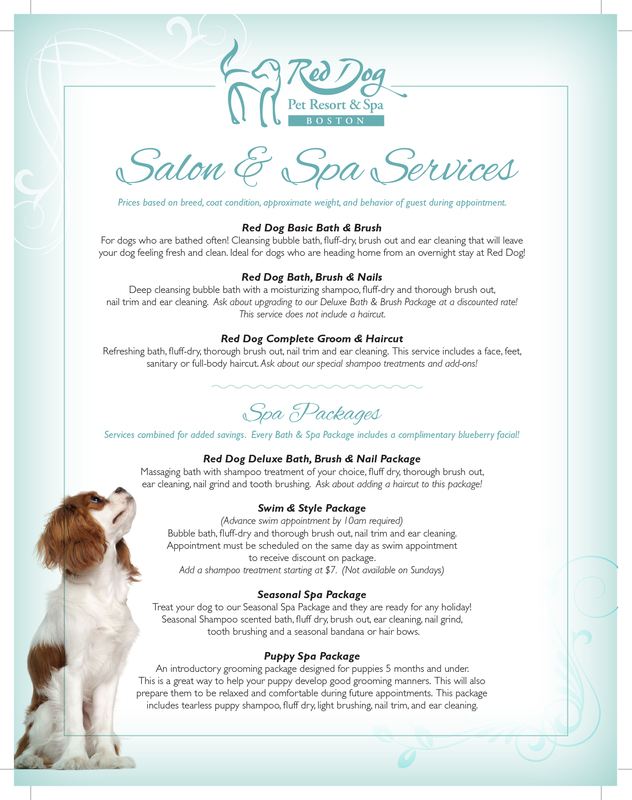 Boston Red Dog’s salon and spa offers the latest in hairdos, skin/hair treatments, and pet styling technology to keep dogs and cats smelling, looking, and feeling their best. 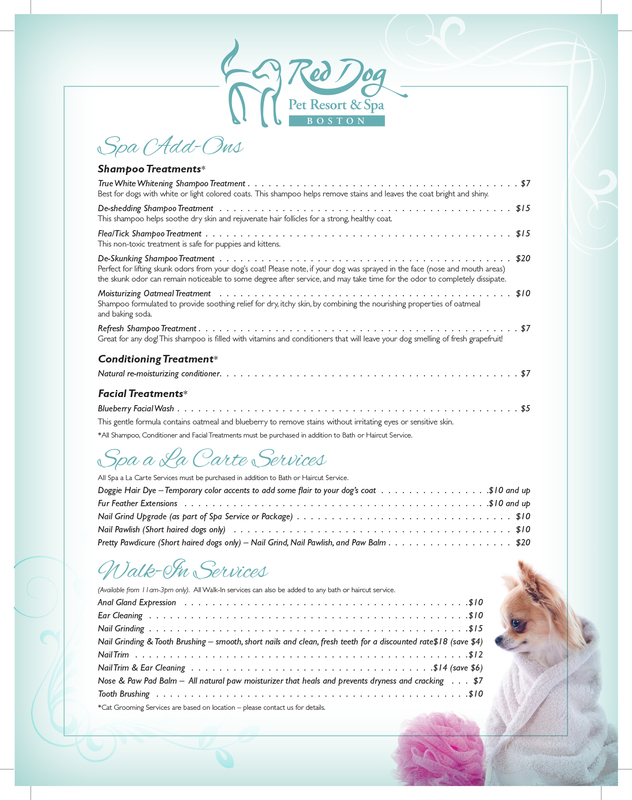 Our professional stylists work with you to create a customized bathing and grooming schedule for your pet—an essential part of maintaining his or her holistic well-being. The final price of your pet’s grooming services will depend upon breed type, length of visit, approximate weight, and behavior during the process.